As part of the project “Study as a parent” of the Deutsche Studentenwerk, I did this Wimmelbild in cooperation with Titus Ackermann. 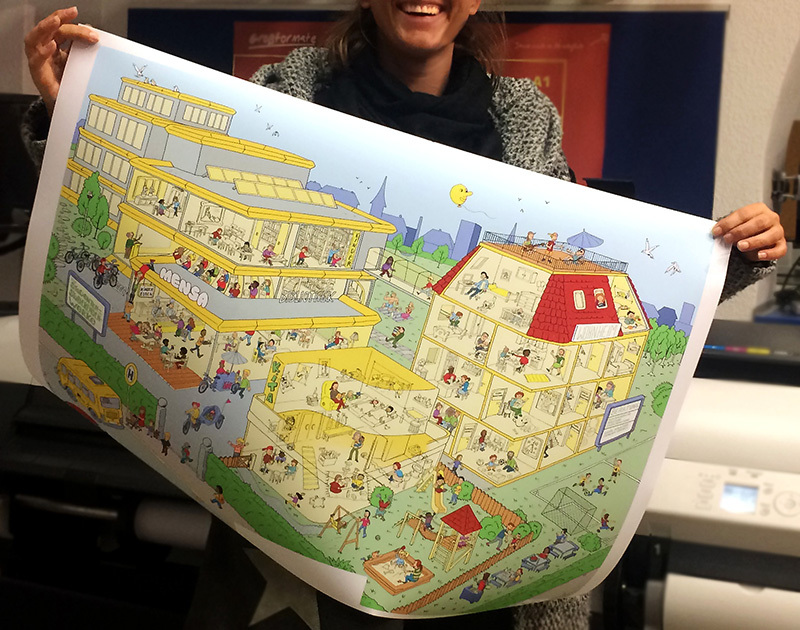 The Wimmelbild has been designed to show all aspects and offers of the Deutsche Studentenwerk for students with kids. Furthermore you can find a rabbit, 2 dogs, one cat, 3 sheeps and a horse. 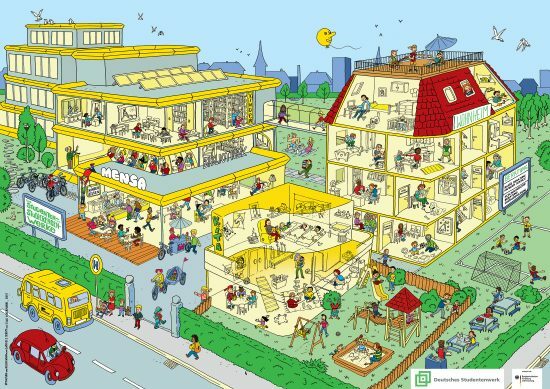 Have fun seeking and finding all of it!